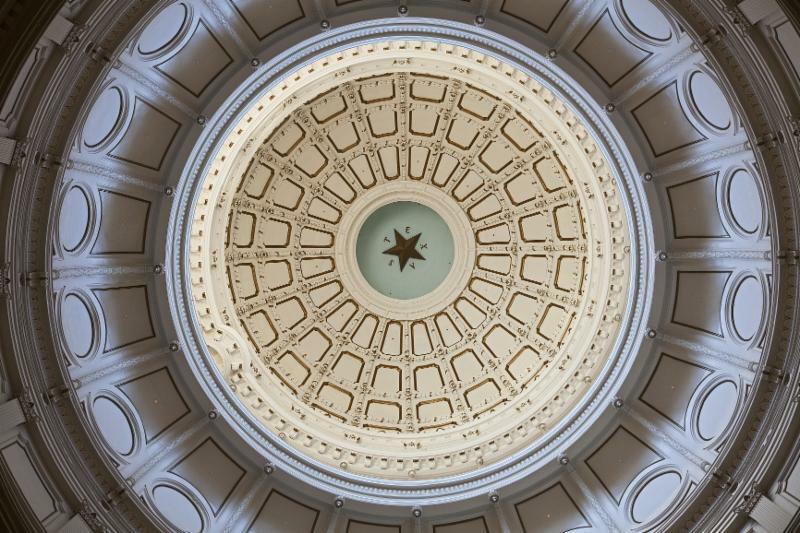 The Texas Telephone Association and the Texas Statewide Telephone Cooperative Inc. on July 20 filed joint reply comments in the Public Utility Commission of Texas rulemaking to implement Senate Bill 586 that reforms the Texas universal service fund. TTA anticipates the Texas PUC could take action in the rulemaking under Project No. 47669 at its September open meeting. The Texas Cable Association filed reply comments primarily opposing TTA and TSTCI’s joint initial comments in the proceeding. The cable association took issue with the following: extending the deadline for the new EMR Plus reports for earnings monitoring to allow the incorporation of the latest factors from members’ cost studies; the three-year prohibition from filing a contested case in situations where the small incumbent local exchange carriers contest a staff adjustment and change in category; and confidentiality of earnings monitoring reports. The Texas PUC staff will review industry comments and may could make adjustments to the proposed new rule before making a recommendation to the commission. Regarding implementation, TTA encourages its members who plan to avail themselves to the new Texas universal service fund mechanism under SB 586 to begin preparing for the important new annual report. Members should identify all affiliate transactions for 2017 that will need to be reported as well as executive compensation. In addition, we encourage members to be working to make sure cost allocation manuals are updated and accurately reflect company cost allocation procedures. TTA is aware that some members are working with their consultants to identify types of affiliate transactions that might be grouped into categories such as labor, leases, tariffed services and construction. TTA is hopeful that member companies can come together to develop some uniformity regarding the formatting of the new reports in order to avoid costly and time-consuming discovery requests from the PUC staff members who will be reviewing the filings and the various schedules. There are other issues pending at the Texas PUC of interest to members. There has been a flurry of activity on Virgin Mobile’s application with the Texas PUC to expand its lifeline designation into additional rural areas across Texas. TTA’s attorney Dennis Donley filed a motion on July 20 with the Texas PUC to intervene in Virgin Mobile’s application. Virgin Mobile has been designated as both an Eligible Telecommunications Carrier (ETC) and an Eligible Telecommunications Provider (ETP) in certain non-rural service areas of Texas – including AT&T Texas, Verizon Southwest and Frontier – for the limited purpose of offering Lifeline services. Virgin Mobile’s application seeks to expand the area covered by those designations to include territory served by additional local phone companies across Texas. On July 31, TTA filed an amended motion to intervene to include TSTCI. CenturyLink and Texas Windstream also filed individual motions to intervene. The Texas PUC staff on July 26 issued requests for information to Virgin Mobile to address issues such as retail service offerings and network and infrastructure issues. TTA and TSTCI on August 2 filed initial comments and a request for the PUC to refer the case to the State Office of Administrative Hearings for hearing. TTA and TSTCI challenged Virgin Mobile’s application on a number of grounds including a lack of any commitment to provide service to customers in large swaths of area where the company seeks to be designated as an eligible telecommunications carrier and provider as well as a failure to meet service quality standards as well as a failure to commit to provide all of the components of basic local telecommunications services at a rate that is no more than 150 percent of the underlying ILEC’s tariffed rates. TTA is working with our industry partners to develop our own discovery requests and raise other issues. TTA has taken a lead role for the industry in this proceeding and will continue to keep members informed on issues as they develop. Finally, don’t forget that federal and state universal service compliance affidavits are coming up. The Texas PUC has issued procedural schedules and compliance affidavit templates for federal and state recipients of universal service support to submit annual filings no later than September 1. Eligible Telecommunications Carriers and Eligible Telecommunications Providers are obligated to annually file affidavits attesting that they are properly using federal and state universal service funds. The decline in health care access to rural communities has become a growing concern nationwide in recent years. Given the size of Texas, the crisis is acute. When it comes to finding health care providers, far too many communities are left with limited options. It is much too common for many Texans to be forced to drive hours to go to a hospital, visit a primary doctor or a specialist. The problem is even more dire with mental health. Some of the numbers are sobering. Some 62 percent – or 158 of 254 counties in Texas – do not have general surgeons and 14 percent have no physicians at all. In Texas, 147 of 254 counties have no obstetrician or gynecologist. More than 3.1 million Texans live in counties without a psychiatrist. In addition, Texas ranks 41st among 50 states in physicians per 100,000 residents. Texas would need to add 12,819 physicians in order to meet the national per capita average. In an attempt to provide rural areas with improved access to medical care, many states have turned to new solution, including allowing advanced practice nurses to provide rural care where there are no doctors. In addition, states are looking at telemedicine. In particular, the increased use of telemedicine will enable underserved rural areas of the state to receive similar types of care as those found in urban areas. Telemedicine, telehealth and telemonitoring are where a health care professional provides medical advice, diagnosis and treatment remotely. A critical component of telemedicine is broadband access in these rural areas. No amount of policy initiatives will improve health care access without the necessary infrastructure to support it. There have been some recent legislative and policy moves to address the rural health care crisis and expand telemedicine in Texas and the nation. In 2017, the Texas Legislature approved Senate Bill 1107 sponsored by Sen. Charles Schwertner, R-Georgetown, chairman of the Senate Committee on Health and Human Services Committee and Rep. Four Price, R-Amarillo, chairman of the House Committee on Public Health. SB 1107 removed a requirement that a patient and a physician must have a face-to-face consultation to use telemedicine. The new law also specifies the standard of care for a telemedicine service or telehealth service is the same standard that would apply to the same health care service or procedure in an in-person setting. This is a significant policy change in Texas and underscores the need for Universal Service Fund support to help ensure access to broadband in rural areas. At the federal level, the Federal Communications Commission has initiated an $100 million telehealth initiative focusing on bringing medical technologies to low income patients in remote areas. When approved, the program will bring FCC assistance and connectivity directly to the rural patients themselves rather than to just health care facilities. The FCC intends to assist with the targeted deployment of broadband to areas where the need is greatest. During this interim before the Legislature convenes in January, several Texas legislative committees have been examining ways to improve mental health care to schools as a response to recent horrific school shootings. Given the extreme shortage of mental health providers in Texas, the committees exploring whether mental health services to schools might best be addressed by telemedicine. While telemedicine is in its early days, it is good news for patients in remote parts of Texas. It also creates opportunities for those telecommunications companies providing broadband access and are delivering the latest technologies to our rural customers. Expect more changes to telemedicine policy at the state and federal level in the coming years as the need grows in rural areas and as technology changes. Public Utility Commission of Texas Commissioner Shelly Botkin will address the Texas Telephone Association Convention and Product Showcase on Tuesday Sept. 11. More than 150 telecommunications industry professionals and experts will gather for the convention set for Sept. 9-12 at Horseshoe Bay Resort. Botkin, who Texas Gov. Greg Abbott appointed to the three-member PUC in June, will address conference attendees at 1 p.m. on Sept. 11 and provide perspective on recent activities at the PUC. Botkin previously served as director of corporate communications and government affairs for the Electric Reliability Council of Texas. She also for worked ten years in the Texas Capitol as a senior policy analyst on business, regulatory, and environmental issues for two state senators and for both the lieutenant governor and speaker of the House. In addition, Douglas Meredith, director of economics and policy with JSI , will discuss “What Consumers Want from Broadband at 11 a.m. on Sept. 11. There is still time to register for the convention. A complete agenda and registration information for the TTA convention can be found online . For more information contact Joann Kamerman at joannkam@tta.org or 512-472-1183. AveriStar recently joined TTA as an associate member. ﻿AveriStar, based in Charlotte, North Carolina, provides engineering services, BroadSoft platform support and management, end user provisioning, go-to-market modules, education curriculum and software development to service providers in North America. Members of the AveriStar team will be attending the TTA Convention and Product Showcase in September and please welcome them to TTA. In an ongoing effort to help drive economic growth, Santa Rosa Communications has been aggressively building fiber networks to bring high-speed broadband to rural Texas for the past 20 years. Santa Rosa Communications – which includes Santa Rosa Telephone Cooperative and Santa Rosa Communications LTD – operates as an incumbent local exchange carrier and a competitive local exchange carrier serving an immense 4,500 square-mile rural service territory in North Central Texas including Childress, areas around Wichita Falls as well as South Central Oklahoma. For Santa Rosa, fiber technologies to support high-speed Internet connectivity for consumers and businesses are key to driving economic development in rural Texas, Petty said. “People are moving back into Childress and opening up businesses – training centers and call centers – because they have the bandwidth to do it,’’ Petty said. Santa Rosa, based in Vernon with offices in Haskell, Seymour and Childress, provides local and long distance voice services as well as high-speed Internet to support Internet Protocol television (IPTV) and streaming video for about 5,800 residential and business customers. While about 90 percent of Santa Rosa customers are residential, the company also serves business and government customers including 13 schools, three hospitals, three wind farms, a solar farm and a coal-fired power plant throughout the sprawling service territory. Still, it remains a challenge to build out networks and deliver services to customers spread out across a large region. “We have approximately 1.16 customers per route mile of cable,’’ Petty said. With 55 employees, Santa Rosa was founded in 1951 to provide a vital lifeline to rural Texans. At the time, telephone service was typically available only in towns or along major highways. With support from the federal Rural Electrification Administration (now the Rural Utilities Service under the U.S. Department of Agriculture) and made possible by passage of the federal Rural Telephone Act in 1949, Santa Rosa introduced local voice service with the installation of eight party lines. Much has changed since those early days. In 1998, Santa Rosa began deploying fiber near the home technologies to serve consumers and businesses. Santa Rosa has continued providing fiber-to-the-home technology with speeds of up to 1 gigabit per second to support voice, high speed Internet and IPTV with plenty of additional bandwidth for future applications. About 90 percent of the company’s local phone service territory is served by fiber technologies. Since 1998, Santa Rosa has invested nearly $53 million in deploying fiber and technology upgrades, largely funded by federal loans to encourage development of telecommunications services in rural areas. The company also has built redundancy into the network so that if there is a fiber cut customer traffic can be rerouted. Santa Rosa has installed more than 5,000 miles – or about 26 million feet – of fiber throughout its service area. Access to voice and high-speed Internet is essential in Santa Rosa’s service territory as mobile phone service is spotty. “I have board members who have to stand on top of their tractors to talk to me on their cellphone,’’ Petty said. Looking forward, Petty sees Santa Rosa continuing to grow by adding new services such as “smart home’’ applications and managed services. Serving rural areas remains challenging as it is costly to deploy network facilities to customer locations in rural less-populated areas – areas that traditionally have received support from the universal service fund (USF). The Texas PUC staff on July 20 recommended in favor of Southern Utilities application in Docket No. 48451 for a minor tariff change to account for the recent tax reform put into place by the federal Tax Cuts and Jobs Act of 2017. While this application was filed by a water utility, it is potentially significant for telecommunications companies. The application asserts the utility should be permitted to implement a credit rider to account for savings from the federal tax changes rather than file a full rate case. This assertion is consistent with position of telecommunications companies that federal tax compliance issues should be made simpler for smaller entities and TTA will continue to monitor this issue. The Federal Communications Commission on July 20 released a public notice announcing that 175 companies – including 10 Texas companies -- would receive an additional $36 million for rural broadband. The award applied to rate-of-return companies under the Alternative Connect America Cost Model (A-CAM). The report is available on the FCC website . The order address broadband that relies on small cells and wireline backhaul by making it easier for providers to gain access to poles in public rights of way. This issue recently has been the subject of state regulatory activity and legislation through the various Extenet compliant cases including ongoing Docket No. 45280 involving the City of Houston. The Texas Legislature in 2017 approved SB 1004 by Sen. Kelly Hancock, R-Richland Hills, relating to fees for access to the public right of way for the installation of wireless network nodes. The FCC said the framework will speed and reduce the cost of broadband deployment. “By some estimates, one-touch, make-ready alone could result in approximately 8.3 million incremental premises passed with fiber and about $12.6 billion in incremental fiber capital expenditures,’’ the FCC said in a news release . Community members gathered at a town hall with U.S. Rep. Mike Conaway, R-Midland, Monday to address regional issues and gain insight on the congressman’s proposed legislation. Before opening the floor to constituents, Conaway reviewed aspects of the proposed farm bill. He emphasized expanding rural development to ensure those communities have access to infrastructure and broadband services. The farm bill also prioritizes projects that would address aiding rural communities dealing with high levels of opioid abuse. Read more. You already knew that home broadband competition is sorely lacking through much of the US, but a new report released today helps shed more light on Americans who have just one choice for high-speed Internet. Comcast is the only choice for 30 million Americans when it comes to broadband speeds of at least 25Mbps downstream and 3Mbps upstream, the report says. Charter Communications is the only choice for 38 million Americans. Combined, Comcast and Charter offer service in the majority of the US, with almost no overlap. Read more. More than three-quarters (82.4%) of K-12 schools in areas served by rural telcos are connected to the internet over fiber-to-the-premises (FTTP) infrastructure, according to a new survey of rural telco members of NTCA – The Rural Broadband Association. The NTCA rural anchor institution fiber connectivity report also found that 75.9% of hospitals and medical clinics and 63.9% of public libraries in respondents’ serving areas are FTTP-connected. A substantial portion of these rural anchor institutions – 58.7% of schools, 55.6% of hospitals and medical clinics and 41.3% of libraries – have speeds of 1 Gbps or higher available to them. Read more. (Opinion editorial from Neil Ritchie CEO of Main Street Project and past director of League of Rural Voters) At a time when it’s almost a cliché to lament our broken politics, one vital area of policy has the chance to break the partisan stranglehold that too often freezes Congress in place, solving the rural digital divide. Nearly 10 percent of America lacks access to high-speed internet service, an affliction that keeps large swaths across the plains out of the digital age and cut off from the tidings of the digital age, from always-on music and video to the burgeoning world of digital assistants and the Internet of things. Read more . With July 2018 being the fifth consecutive month of consumer broadband growth, Windstream announced today that they have turned the corner on broadband. Broadband net adds were actually 2,300 in 2Q18. Windstream hasn’t seen consumer broadband growth in many years. In fact they normally report tens of thousands of broadband losses per quarter. A year ago, the company reported losing 22K broadband subscribers in 2Q17. Company executives expect Windstream broadband growth to continue into 2019. They cite their rural profile as an advantage, given that 39% of their territory currently has no cable competitor. They also cite their investment in Project Excel, which has led to improved available broadband speeds. Read more. An appeals court blocked the Federal Communications Commission's plan to cut a broadband subsidy in tribal regions. If the cut were implemented, "tribal populations will suffer widespread loss of vital telecommunications services" that are important "for day-to-day medical, educational, family care, and other functions," judges Sri Srinivasan, Patricia Millett and Cornelia Pillard of the US Court of Appeals for the District of Columbia Circuit said in a stay order. The FCC voted last November to make cuts to the Tribal Lifeline subsidy program, which would have taken away a $25-per-month subsidy from tribal residents in urban areas, leaving them with only the basic $9.25 subsidy plan, according to Ars Technica . The vote also reportedly limited options for rural tribal residents, barring them from using the $25 subsidy to buy telecom service from resellers. Read more. The Federal Communications Commission is putting its money where its mouth is when it comes to ensuring that rural Americans are able to connect to quality healthcare through the deployment of high-speed broadband. Earlier this month, the FCC unanimously approved a new $100 million Connected Care Pilot Program designed to provide access to telemedicine for more rural patients, specifically low-income Americans. “The delivery of high-quality care is no longer limited to the confines of connected, brick-and-mortar facilities,” FCC Commissioner Brendan Carr told a Senate committee on Thursday. “With remote patient monitoring and mobile health apps, technology can now deliver care directly to patients.” Read more. The Federal Communications Commission is asking for public comments on a pilot program that would expand delivery of broadband-enabled telehealth services to low-income households. The commission, in a Notice of Inquiry, said it expects to set aside $100 million from the federal Universal Service Fund (USF) to pay for the project. Comments will be accepted from Sept. 10 to Oct. 10. Read more. Microsoft has awarded funding to eight startup companies, including four in the U.S., as part of its Airband Grant Fund. All four U.S. Microsoft Airband grant winners will use TV white spaces broadband wireless technology to support their projects, and Microsoft will help cover their costs. TV white spaces technology provides broadband internet connectivity using vacant TV broadcast spectrum on an unlicensed basis in areas where it is not in use by broadcasters. Microsoft Airband grants provide financing, technology, mentorship, networking opportunities and other support to broadband-focused startups. The amount of funding that Microsoft will provide was not disclosed. Numbers4Health, a startup that puts health information software and technology in schools where injured student-athletes can be quickly assessed. Project areas will include Compton, California; rural Maine ; and rural Texas . Read more. The FCC this week took another step toward ensuring that calls are completed to rural areas with the adoption of rules for an intermediate provider registry. Service providers that handle calls for other carriers will be required to provide information about themselves for the registry, and retail service providers will not be allowed to use an intermediate provider unless that provider is in the FCC intermediate provider registry. Read more . A new report from the American Action Forum questions the economic impact of rural broadband. The report, penned by AAF Director of Technology and Innovation Policy Will Rinehart, draws on an econometric model of FCC data that “suggests that the presence of broadband does little to explain the unemployment rate, median household income, the change in employment or the rate of population change in rural regions.” Rinehart says broadband adoption measures are “far better at explaining these trends.” Read more. Texas Telephone Association Today is an online newsletter from the Texas Telephone Association, which represents the local phone companies serving consumers, businesses, schools and hospitals across Texas.